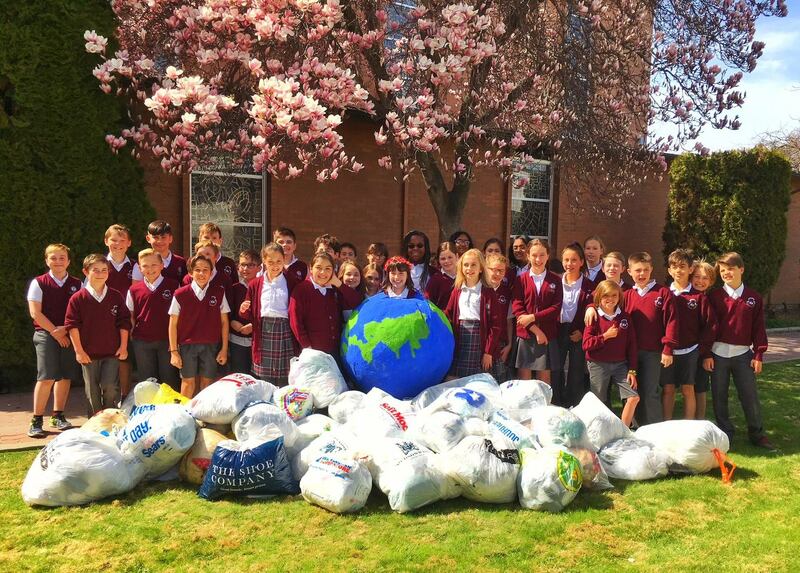 A Kelowna elementary school has been recognized in a Canada-wide recycling competition. St. Joseph Elementary was awarded the Social Media Prize as part of the 2018 Plastic Bag Grab Challenge. The social media prize was awarded to one school from each province or territory that posts creative and educational videos to social media. The challenge, put on by the Recycling Council of Ontario, aimed to build awareness on plastic waste amongst students across the nation. Students at St. Joseph Elementary did a number of things that helped them stand out above the rest. Upper elementary students wrote and produced an Earth Day talk show that explained to the school-wide audience how to live greener lives. The campaign was so successful that the school has formed a “Green Team” that’s continued to steer environmental initiatives. Nationwide, more than 210,000 students from 635 elementary schools participated in the challenge. Along the way, they managed to collect 1,903,193 single-use plastic shopping bags, which equates to 15.23 metric tonnes of plastic, that they brought in for recycling.